The Aoraki/Mt. 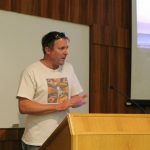 Cook National Park and the Mackenzie Basin, coming in together at 4100 square kilometers, have recently been declared by the International Dark Sky Association as their fourth Dark Sky Reserve. These reserves are areas where the natural night sky is kept clear of artificial light, allowing local wildlife to live a completely natural diurnal cycle, and visitors to see the stars in their full glory as our ancestors did. 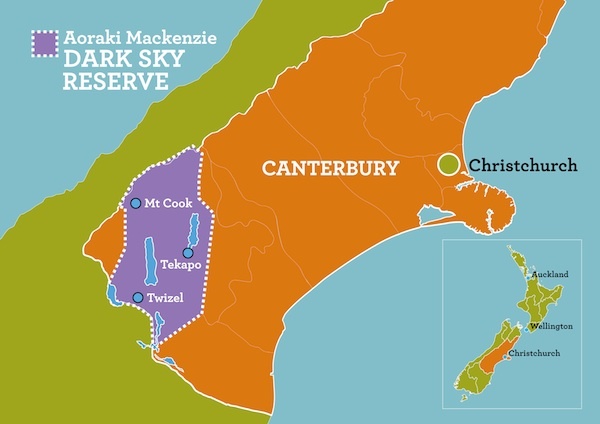 The Aoraki Mackenzie International Dark Sky Reserve (IDSR) is the largest IDSR in the world, and is the 2nd in the southern hemisphere. It is ranked as a Gold Tier IDSR, meaning that there is practically zero artificial light to be seen anywhere in the reserve. The other three dark sky reserves are found in Namibia (also a Gold Tier), England and Canada (both ranked Silver).